Brad Robertson is a seasoned technical executive and entrepreneur who has been involved in internet startups for two decades. 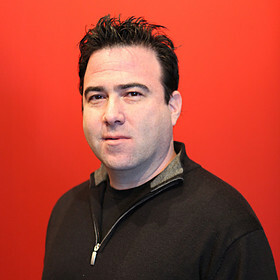 Prior to his work at CX, Brad co-founded and developed Bizavo.com, an innovative executive and company deep web (invisible web) search engine. Brad spent more than 8 years in the automobile industry, serving as President of All Set Auto Repair (ASA) and Director of Technology for SmartMove Auto (SMA), a chain of auto service centers and Buy-Here-Pay auto dealerships with locations in Georgia, Colorado, Nevada, and Arizona. He successfully launched, capitalized, staffed, managed, and developed a proprietary web client dealer management system for FleetDirect, a Mitsubishi Fuso dealership located in Phoenix Arizona for 7 years. Brad co-founded Promenade, LLC ('Promenade'), a retail and wholesale membership service and infomercial asset management company that was sold to E4L (NYSE: ETV) in 2000. He also founded and served as an advisor for Freelink Communications and Lead411.com. Brad's early professional experience includes positions for royalty management for the late Roy Orbison's estate, a deputy Probation Officer for Los Angeles County, and a position in Media Affairs in the office of former President Ronald Reagan. Launched in 2009, Intern Inc. provides a user-friendly platform for high school and college students and professionals to connect directly. Co-Founder at Mackenzie Skyler & Co. Early stage technology incubator. Investor and launched web.0 start-ups Freelink, PrimaryHost, FlasheMail, @cost, etailer, and adlynx. State-of-the-art Mitsubishi Fuso and commercial fleet solutions provider. Acquired in 2007. Acquired by (NYSE:ETV) May 2000. CX (www.cx.com) has developed a highly secure, flexible and scalable platform for deploying cloud applications, currently focused on syncing, sharing and collaboration. School choice advocacy and empowering those affected by autism to succeed by using technology.